Send your feast day prayer intentions. 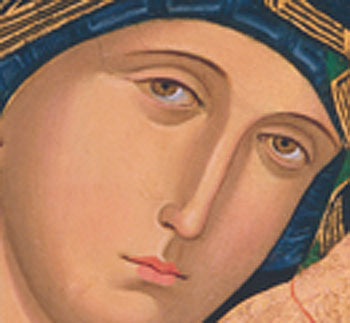 Mother of Perpetual Help, your name inspires confidence and offers hope. We come before your holy image in praise and thanksgiving to God, seeking your intercession with Jesus, your Son, for all the needs of our lives. In celebrating your holy motherhood we proclaim Jesus Christ, Our Lord and Redeemer. You answered when called to be mother of Our Lord. Obtain for us the grace to be alive to our baptismal call and especially to embrace the gospel of life and to reverence all of creation. You wondered as your Son grew in wisdom, knowledge, and grace. Intercede for us so that we may welcome the Word of God in our lives and be bearers of the good news to all people. You delighted as your Son healed the sick. Intercede for our sick that they may receive good health and, in turn be healers to others. You enjoyed peace as your Son comforted the afflicted. Intercede for all who suffer. May we share their burdens with compassion and fulfill the Law of Love. You rejoiced as your Son forgave sins. Obtain for us the forgiveness of our sins and strengthen us to forgive others and set them free. You suffered at the wounds your Son endured for our salvation. Help us to bind up the broken hearted and to give hope to the down trodden. You experienced the power of your Son’s Resurrection. Obtain the same power for us that we may persevere in his way all the days of our life and be embraced by him in heaven. Remember, O Most gracious Virgin Mary, that never was it known, that anyone who fled to your protection, implored your help, or sought your intercession, was left unaided. Inspired with this confidence, we fly to you, O Virgin of virgins, our Mother. To you we come, before you we stand, sinful and sorrowful. O Mother of the Word Incarnate, despise not our petitions, but in your mercy hear and answer us. Amen.